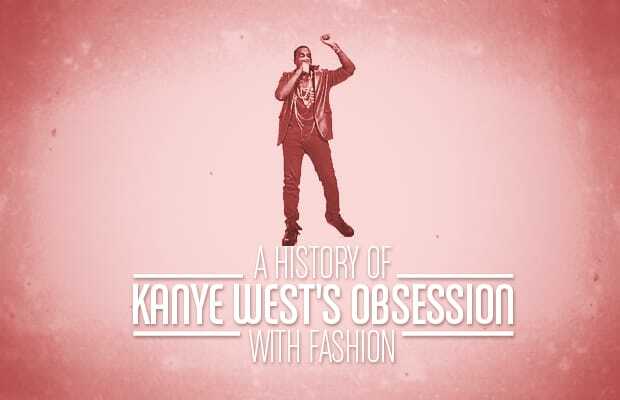 Since bursting onto the scene with his 2004 debut, Kanye West has taken the hip-hop world by storm, but he soon revealed a second love: fashion. He wasn't always the style icon he is today, and the road that took him there is an interesting one. From his streetwear roots to leather-heavy outfits, couture Margiela masks, A.P.C. collabs, and the upcoming Yeezy Season 2 show, here's a look at A History of Kanye West's Obsession With Fashion in Kanye West GIFs.